About 11 years ago a book came out that got everybody talking – “French Women Don’t Get Fat”. The author, Mireille Guiliano, was on every talk show evangelizing the virtues of eating the French way. It is a conundrum as France flows with Camembert, croissants, rich sauces, and steak frites. I just have to add that it is NOT fair that French women get to eat great food, stay slim and are some of the most stylish ladies in the world. The book became a # 1 New York Times best seller, and in a nutshell it shares the secret of French women – that is, they don’t eat more than three bites of anything and they savour each of those bites. For this post we are deviating a little from our usual focus on superfoods, because man does not live on quinoa salad alone. 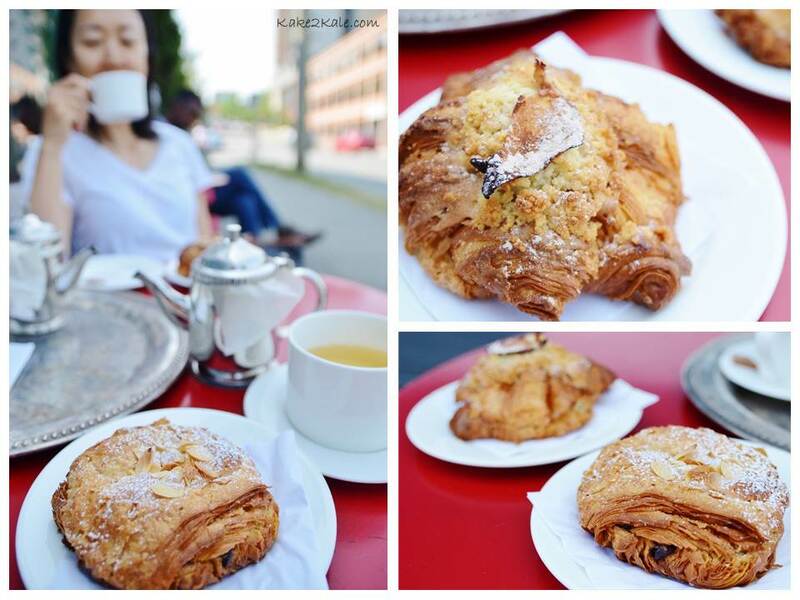 Inspired by Ms. Guiliano, Kale searched for a worthy French Bakery and found Beaucoup. The gal who opened it is Asian. 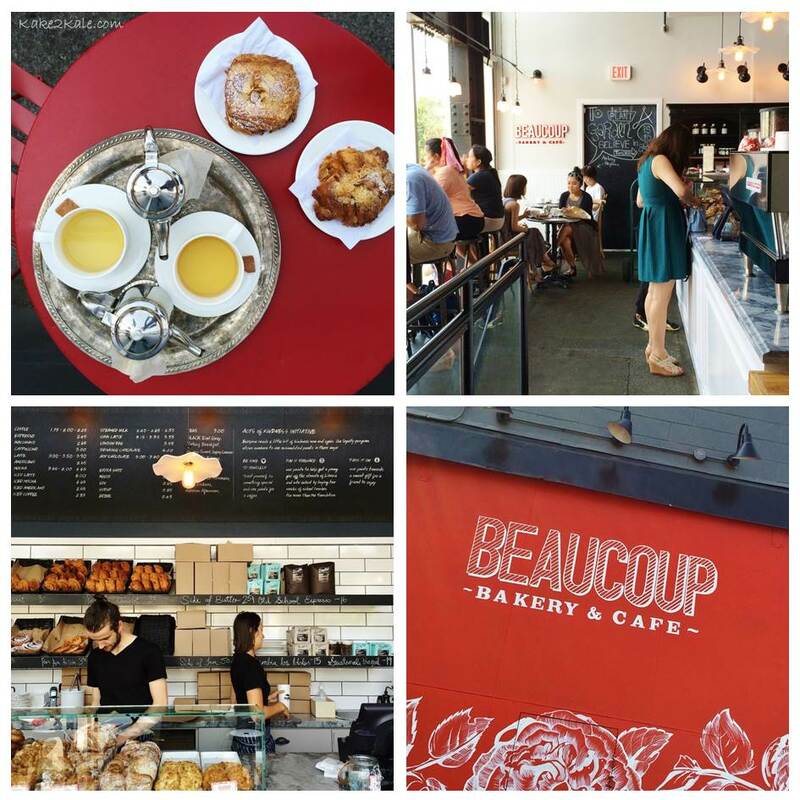 She went to Paris to study the art of French pastry-making at Paris’ École Gastronomique Bellouet Conseil and we’re so happy that she did; because Beaucoup has been hailed by Forbes Travel Guide as one of Vancouver’s Tastiest Sweet Spots. Kale and I arrived around 10:15 am, just in time to secure a table al fresco because within 15 minutes every table was taken. I ordered an apple pie croissant and a rose green tea. The pure pleasure of biting into the flaky buttery pastry that cocooned tender apples nestled on a layer of rich almond paste does as much good for my soul as a green smoothie would for my body. Apples and almonds do count as superfoods, so the croissant has redeeming features. The green tea is full of antioxidants as well, and can help boost metabolism. Kale had the almond croissant and lemongrass tea! 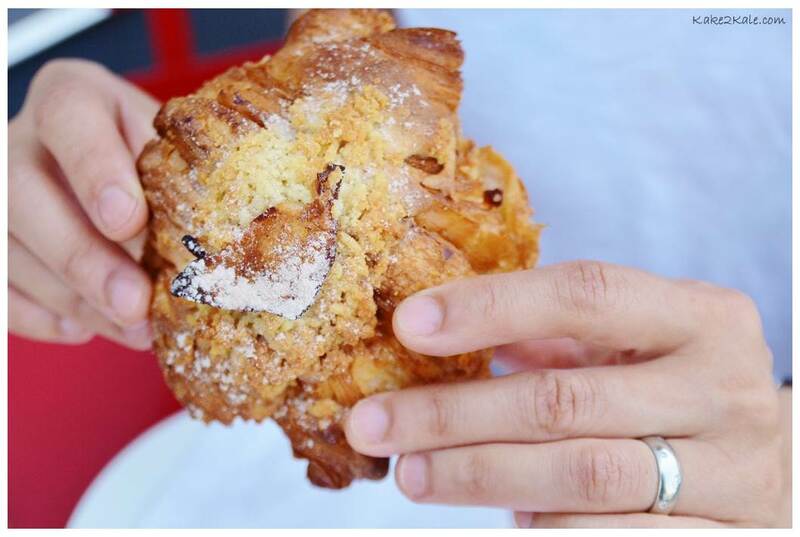 Almond croissant is her favourite French pastry and she thinks the Beaucoup version is the one to beat! Did we eat those delectable pastries like a French woman would? We savoured every bite, but as for stopping after three bites, forget it, we kept going until hardly a crumb or flake was left on the plate. So much for emulating the French women! I believe that we should be eating clean, healthy food 80-90% of the time, but there should be room for a little indulgence that satisfies your soul, especially when shared with a wonderful friend. Kale and I highly recommend Beaucoup for just such an experience. So merci, Beaucoup! ← Iced Teas to Please! 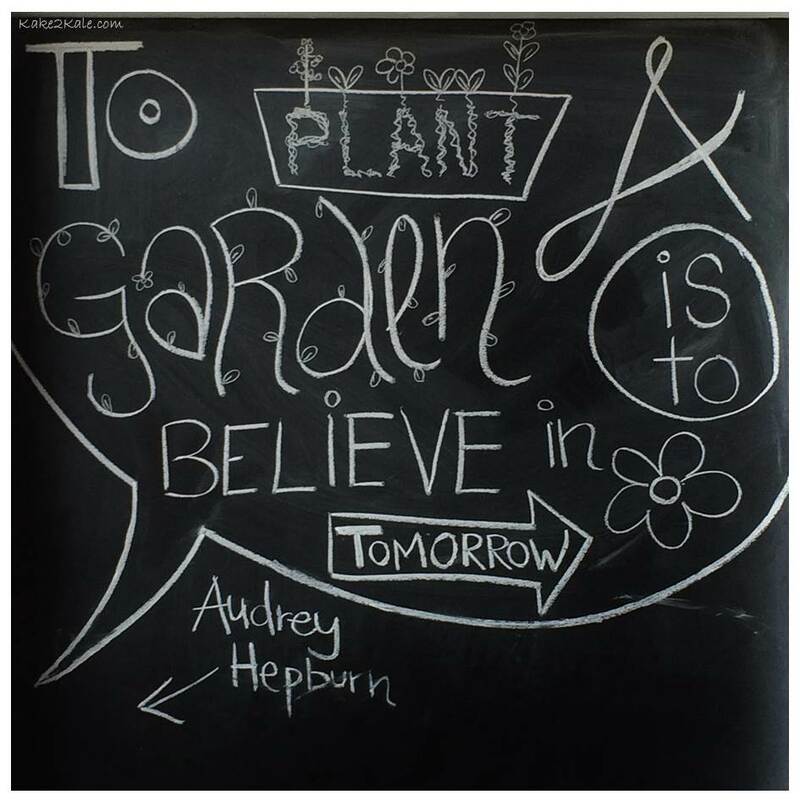 Thank you for sharing our blog Renny!